Twelve years after construction began, President Enrique Peña Nieto inaugurated one of Mexico’s most expensive and ambitious infrastructure projects, the Mazatlan-Durango highway, last week. The 136-mile highway cuts the driving time from the Pacific port of Mazatlan, Sinaloa to the eponymous state capital of Durango from six hours to just over two and a half. The project cost a total of 28.6 billion pesos (2.28 billion dollars), with 15.1 billion pesos spent on the Sinaloa side of the highway and 13.5 billion spent on the Durango side. 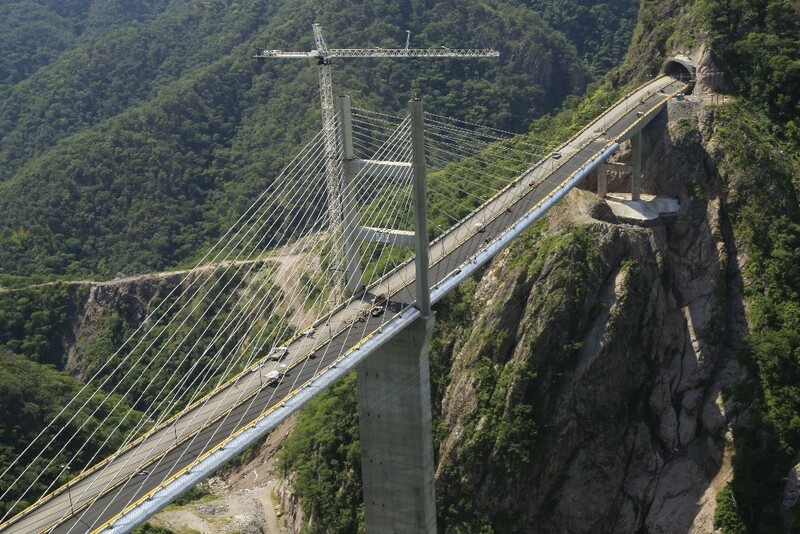 The highway passes through 61 tunnels and along 71 bridges, including the Puente Baluarte, the highest bridge in the Americas and the highest cable-stayed bridge in the world. 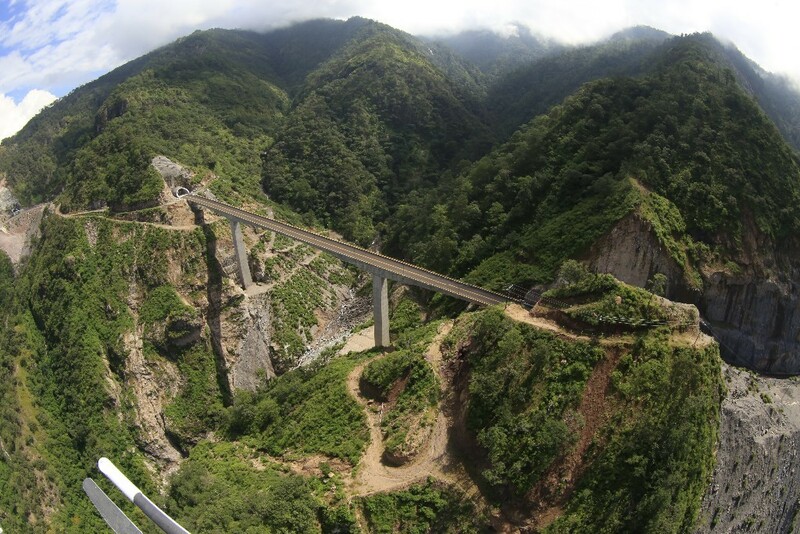 Crossing the “Espinazo del Diablo,” or “Devil’s Backbone,” in the Sierra Madre Occidental mountain range, the spectacular, four-lane bridge is 1,124 meters long and 403 meters high. Peña Nieto formally opened the highway alongside Mario Lopez Valdez and Jorge Herrera Caldera, the respective governors of Sinaloa and Durango, at the midway point between Mazatlan and Durango on October 17. “As President of the Republic, I am convinced that it is necessary to develop infrastructure across the country. I am confident that this effort will result in a more prosperous, competitive and better connected Mexico,” Peña Nieto said. The highway will have a massive economic impact on Mexico’s Northern Economic Corridor, opening the region, which encompasses the states of Chihuahua, Coahuila, Durango, Nuevo Leon, Sinaloa, Tamaulipas and Zacatecas, to new markets. Mazatlan, in particular, will be one of the biggest beneficiaries. With the driving time to San Antonio, reduced from about 18 hours to just 12, the Pacific port will now become the gateway for goods being transported from Asia to the east coast of the United States.